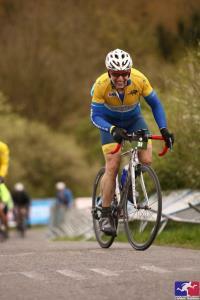 "I am a British Cycling Level 3 coach in Road and Time Trials as well as Track Cycling . I currently coach Road Riders from Cat 2 racers through to Grand Forno riders, most have been with me for a number of years.I also coach Time Trial specialists and assisted one of my riders in wining 3 national medals as a pilot .I coach track cycling and specialise in track endurance , though I can also coach track sprint .I am an athlete centred coach and believe in the athlete coach partnership , which allows the athlete to achieve their goals . I treat all my athletes as individuals and design the training plan to suit there goals ability and available time .I also believe in continuous development and have attended a number of CPD events to keep my coaching current including the following courses. Training Peaks University: British Cycling Understanding Power: British Cycling Coaching Madison: Scottish Institute of Sport Applied Sport Psychology: United Kingdom Strentgh and Conditioning Association Foundation Course"
Success. Coach William MacDonald has been notified of your message. To hire William MacDonald as your coach, select the coaching service that is right for you.